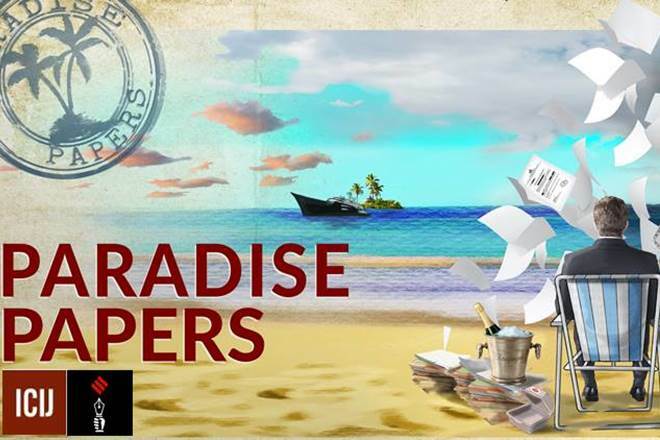 Probe in Panama leak could not and may never reach a conclusive end, now Paradise papers have revealed that similar names now appear in list of 714 Indians including politicians from ruling and opposition parties, celebrities worshipped like gods by commoners and of course industrialists and other super-ultra-rich having an unending desire to become even extra richer than before. It is noteworthy that courts in Pakistan do their job with responsibility and speed where even a sitting Prime Minister had to resign following orders from the court just after about a year of leakage of Panama papers. On the contrary, there has been no such casualty for any wrong-doer till now while yet another leakage of Paradise papers has been exposed. At least Prime Minister claim for honesty amongst his colleagues in party and ministry should be publicly visible through instant resignation of named minister and Parliamentarians without waiting for any probe-result. It may be mentioned that Lal Krishna Adwani resigned from Union Cabinet soon after his name figured in hawala-deals. India should follow its neighboring country for speedy time-bound probe both in Panama and Paradise leaks pending which all the 714 named Indians including big named celebrities, politicians and others should totally disappear from public life. It is ridiculous that Union minister named in Paradise leaks is claiming innocence on the ground that all this happened before he became Union minister. Honesty or dishonesty is quality or disquality of a person holding or not holding some post.